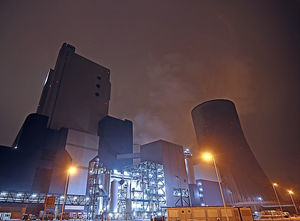 Low-quality lighting in industrial plants is not only economically inefficient. Insufficient illumination of the workplace can lead to occupational injuries and is therefore hazardous to the health of the employees of the enterprise. The solution to this problem is the installation of modern LED equipment. As a reliable solution, LED lighting fixtures are able to provide the light of sufficient brightness necessary for proper illumination of the working space. Other advantages of LED-lamps include their economic efficiency and high energy-saving indicators. So, when replacing obsolete lighting equipment with LED, it is possible to achieve significant monthly energy savings. Increasing the savings gives the application of automated lighting control systems. These systems allow the organization of a fully managed lighting network with the ability to control each lamp (using individual lamp control devices). As an effective and safe lighting solution, LED lighting is available at affordable prices. In addition, the possible costs can be compensated for by the savings achieved when operating LED lights. IVT company has a wide range of control devices for LED lighting “Helios”. Our equipment is compatible with devices that have a DALI / PWM / 0-10 input. Control is carried out via communication channels PLC, ZigBee, GSM. With the use of energy-saving equipment “Helios” it is possible to save up to 35%.